A/B Testing for AdWords - How and Why to use A/B Testing? A/B testing is an experiment where users are exposed to two variants of a web page/app. The data from user experience is collected and analyzed to learn which of the variations performs better for a given objective/goal. In other words, A/B testing is a means of analyzing two variants of any given entity to ascertain which one performs better. The given entity can be a simple web page or a complex mobile application. A/B testing is also known as split testing. Is it necessary to implement A/B Testing in AdWords? Yes, it is recommended to implement A/B split testing in AdWords. Split testing follows a data driven approach to deciding which variant is appealing better to the users. Intuition-based guess work can’t deliver the same results as the data driven approach. In AdWords, each impression matters. Losing potential customers because of a poor ad copy can prove very costly. Similarly, every click is important too. A bad landing page experience can result in a lost conversion. Hence, implementing split testing to check for the best ad copy and landing page experience can help you make the most of the money you spend on AdWords. Implementing split testing in AdWords is very similar to split testing in general for web pages or others. You have to decide which element on the page you want to run a test for. And then you make two or more modified copies of the page with that element altered. Say, you want to test which ad copy best fits for a keyword or a landing page that offers the most conversions. You can simply run an A/B test to find out the answers. The underlying objective of an ad copy is to attract the user to click on the ad. Hence, the performance metric this is best associated with an ad copy is click-through rate. An effective ad copy is the one which holds a good click-through rate. Below are a few elements of an ad copy that you can analyze using A/B testing. The inherent purpose of a landing page is to persuade users to take a step further and make the purchase. Hence, the performance metric that best evaluates landing pages is the conversion rate. A landing page with a high conversion rate is always good for you. Below are a few elements of a landing page that you can analyze using A/B testing. 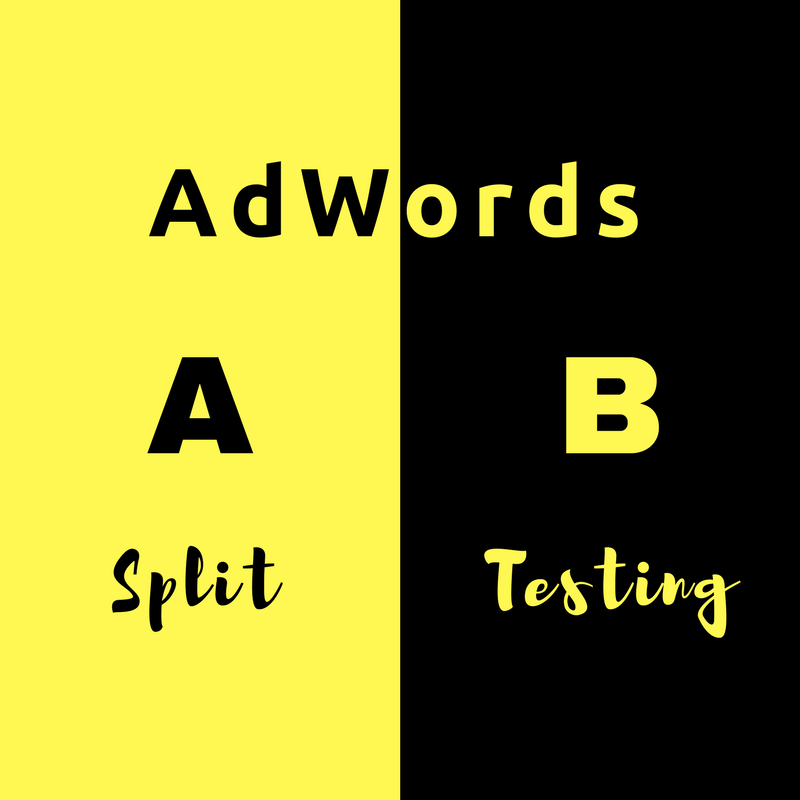 Understanding the importance of A/B testing in AdWords, AdNabu built an exclusive split testing tool for AdWords users. Using Bayesian Probability, the tool functions faster than any other split testing tool in the market. With structured reports that include parameters and performance graphs for vivid understanding. The tool is also equipped with a one-click button to pause or unpause ads and landing pages as per their performance. I would like to end this blog on a high note, emphasizing the importance of A/B testing in AdWords. A simple test can bring you better returns on your AdWords spend. Moreover, with free testing tools like AdNabu, I don’t see no harm in giving the testing a try.